Even though I’m a native English speaker from England I sometimes find Chinese people correcting my English, and when this happens they usually correct it to make it sound more like Chinese. In Mandarin the words for he, she, him, her and it are all the same. They’re all tā, which makes learning the language a bit easier. However, the written characters for he (tā 他), she (tā 她) and it (tā 它) are all slightly different. 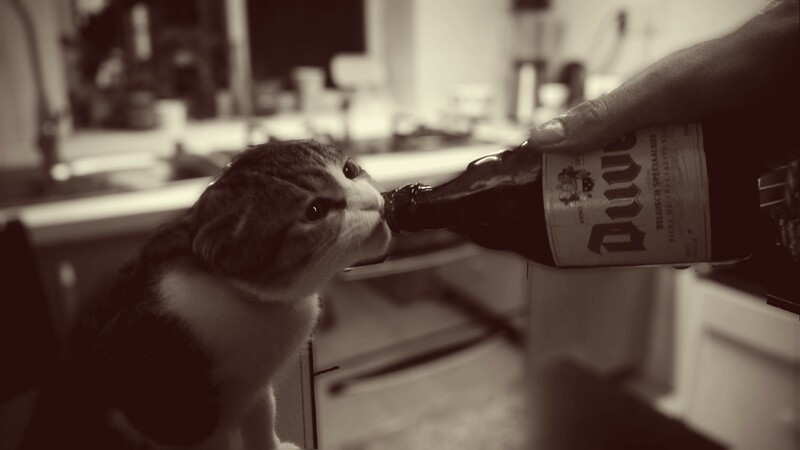 Occasionally I’ll be talking to a Chinese person, in English, about my cat and say something along the lines of “he is two years old”, after which they almost always correct my English and say “you mean ‘it is two years old’”. Other than pointing out the obvious “I’m a native speaker and you’re not” I like to ask them why they think I can’t say “him” when talking about my cat. I usually get some garbled explanation along the lines of “but in Chinese, when we write tā…” Unfortunately many Chinese people seem to think the Chinese writing system somehow affects spoken English, and as a Mandarin learner you can use this mistake to your advantage. For example, we now know that the male tā 他 and female tā 她 can only be used for people. I’ve deleted the last line of this dialogue but it consisted of me saying “what the” followed by a four letter word. Again, when I challenge Chinese people about their so called brothers and sisters, who usually turn out to be cousins, I often get the response “but in Chinese we say…” and I’m left repeating “we’re not speaking Chinese, we’re speaking English” over and over again. As a Mandarin student we’ve again learnt something; you usually call your cousin older brother (gē ge) younger brother (dì di) older sister (jiě jie) or younger sister (mèi mei). If you have a textbook that tells you all the different words for cousin then you can just skip that chapter because lots of Chinese people don’t even know them all (and more importantly don’t really use these words). 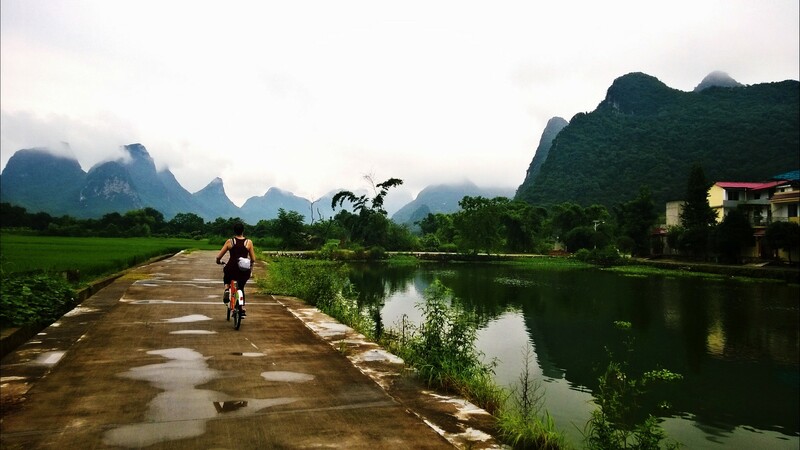 Is that my younger sister or my cousin cycling off into the hills outside of Guilin? Family relations are usually used within the family and most Chinese people speak a regional dialect or a non-standard form of Mandarin at home. As a result it’s not uncommon to find Chinese people who also don’t know the correct words for each aunt and uncle in Mandarin. Is it your mothers’ oldest brother or your fathers’ younger brother? In Mandarin there are different words based on age and which side of the family they are on. But the words Chinese people actually use often vary from place to place (even family to family). Many Chinese people will be unsure of the correct standard Mandarin in the same way English speakers will get confused over distant extended family relations. Again, if your textbook has a vocab list for all the different extended family relations you might just want to skip it. You can get away perfectly well by referring to aunts as ā yí and uncles as shū shu. ā yí and shū shu are actually respectful terms that can be used for anyone a generation above you. The older woman changing the bed sheets in the hostel you stayed as is ā yí , and the kind man who gave you directions on the street is shū shu. If you use these words for your own family members then it won’t be incorrect, but the Chinese person you’re talking to won’t be entirely sure if you’re talking about an actual aunt or the cleaning lady (it often means the latter). This isn’t too different to when a Chinese person says brother and I don’t know if they mean an actual brother or a cousin. This entry was posted in Word of the week and tagged aunt, brother, cousin, family, sister, uncle. Bookmark the permalink.